Grace Kellawon was born in Jamaica of East Indian heritage. Her family moved to New York when she was 18 years old. She attended NYU where she got a B.A. and M.A. Grace taught English in Tokyo for 8 years where she was introduced to meditation. She completed her Yoga teacher training in Louisville, KY under the Ashtanga teacher Laura Spaulding. It was there, through the teaching of Yoga and the sitting practice of meditation that began years back in Japan, that her writing bloomed and dev eloped. She completed her 200Hr and 500Hr certificates at Yoga East in Louisville, she has taught in Chicago and now we are blessed with her knowledge and experience. Grace teachers our Gentle Yoga classes and teaches them with grace! 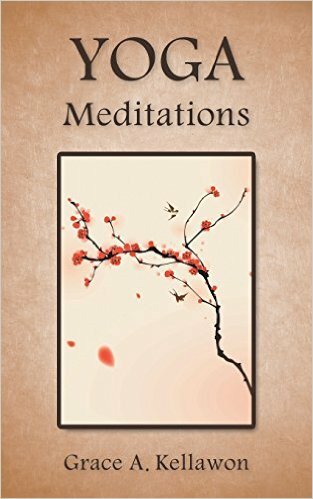 She published a book on Yoga meditations in 2014 which is beautifully written and can be found on amazon.